Undefeated in one mile and two mile races (dual meets-Hockomock League) as a member of the winter track team at Franklin High School in 1975/1976. Placed sixth in the Hockomock League cross country meet as a member of the Franklin High School cross country team in 1975. As a junior at Franklin High School, was on the undefeated cross country team that won the Hockomock League Championship. 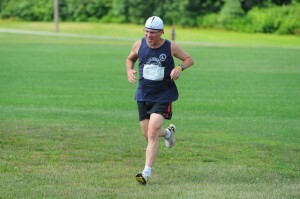 Completed approximately 350 road races, ranging in distance from 3.1 miles to 26.2 miles. Awarded seventh place in the Grand Prix ranking for the 2003-3004 season by the Greater Framingham Running Club, third for the 2004-2005, 2005-2006 and 2007-2008 seasons, first for the 2008-2009 season, second for the 2011-2012 season, third for the 2015-2016 season, tied for first for the 2016-2017 season and second for the 2017-2018 season. 19:55 10/23/05 Milford/Neely 8/60 Third in age group! 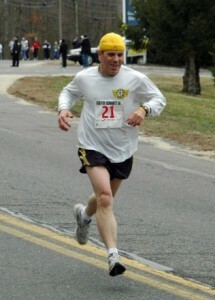 20:18 10/7/01 Marlboro 10/110 First in age group! 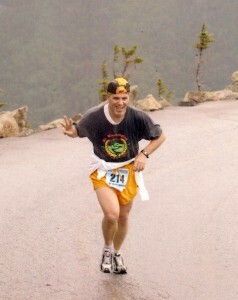 20:21 5/11/96 Sudbury 1/20 First overall! 20:29 8/31/03 Lowell 19/100 Second in age group!